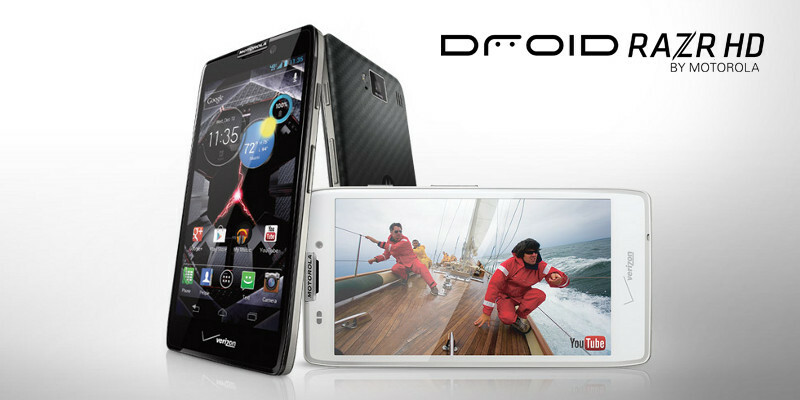 Motorola has introduced its new flagship smartphone in the market, the Motorola RAZR HD. On the specification sheet it covers all the components that customers would like to see in a high-end smartphone. 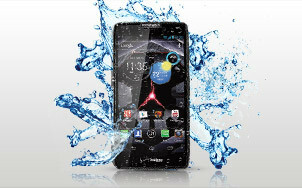 From a dual-core CPU to 4G support and a bright large screen, the RAZR HD seems to have it all. But is it really worth buying it? Let’s find out more about this device in the article below. The RAZR HD is an attractive little slap of dark grey, black and steel colors. The front of the device is simple and stark, without any physical buttons. A logo of Motorola is included on top of the screen and a front-facing camera just right to it. The rear cover feels nice. It is made from a strong Kevlar material, which also provides a grippy surface to the device. On the right-hand side just above the volume rocker there is power button, and a microSD card slot and SIM card slot are located on the left-hand side. Next to them is a micro USB socket. A camera sits on the back and there is a 3.5mm headphone jack on the top. At 146g, the RAZR HD is slightly heavy, and its dimension is 69.9mm x 131.9mm x 8.4mm. Just like the design, there are top end features on the RAZR HD. The Super AMOLED HD Display of 4.7-inch with a resolution of 1280x720 is amazing. It features rear-facing camera of 8Mp and front-facing camera of 1.3Mp. It comes with 16GB of storage space and a microSD card slot which lets you expand the external memory up to 32GB. It is powered by a 1.5GHz dual-core CPU and 1GB of RAM. It even supports 4G networks on the 1800MHz band. It has a solid battery of 2530mAh. The features list of the RAZR HD makes it one of the smartphones that can give tough competition to other rivals. However, it lacks some of the important features. For instance, it runs on Android Ice Cream Sandwich while there is a latest version of Android available in the market known as Jelly Bean or Android 4.1. Some of the smartphones even feature Android 4.2. The Jelly Bean is much faster than the Ice Cream Sandwich. On all benchmarks testing the RAZR HD performed well. The RAZR HD’s user interface is quite close to stock Android, which is a good thing. The user interface is pretty responsive and it is useful and purely functional. The sufficient amount of RAM and dual-core processor runs the applications smoothly. The 4G performance of the device is rock solid. The 8Mp camera of the RAZR HD is more than serviceable. 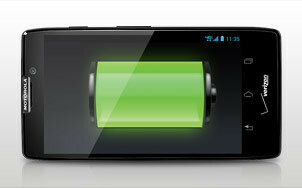 Compared to the 2100mAh battery of the Samsung Galaxy SIII, the 2530mAh battery of RAZR HD is powerful and offers more battery life. Compared to its major rivals, the RAZR HD is a bit heavier, but it features the better battery life and its performance, design, specifications and build quality are all top-notch. It is a high-end smartphone that can compete with the Nokia Lumia 920, the HTC One XL, the iPhone 5 and the Samsung Galaxy S III. This is the best smartphone Motorola has ever produced. Author: Are you interested on latest mobile phones of 2013? Scott Garcia has been reviewing smartphones since 2009. From latest reviews to cool iPhone 5 accessories, you can find all in his blog. Photo: Motorola RAZR HD photos shot by Motorola Mobility.